October is Arkwright Scholarship month for the Institution of Electronics. Every other year a student who is about to enter their 6th form is chosen to receive a scholarship from ourselves. Arkwright Scholarships record that this year has been very successful with 263 Scholarships being awarded to talented young people, a 5.6% increase on last year. This is particularly pleasing in the current economic climate. The increase has been achieved by a growing recognition of the value that Arkwright delivers to all its stakeholders and a robust strategy of networking with existing and potential sponsors. …684 Schools are now affiliated and.135.sponsors support Scholarships. The cost of supporting a Scholar is £2000 over two years. The Institution has sponsored two young people, one of whom is now in her second year of studying for a B.Eng in Product Design Engineering. At the end of this month the presentation to the new recipients will be held in London, where our Chairman , Mr Alan Hollinshead-Jones will be meeting our new scholar. For further information regarding the Arkwright Scholarship Trust click on the link below. 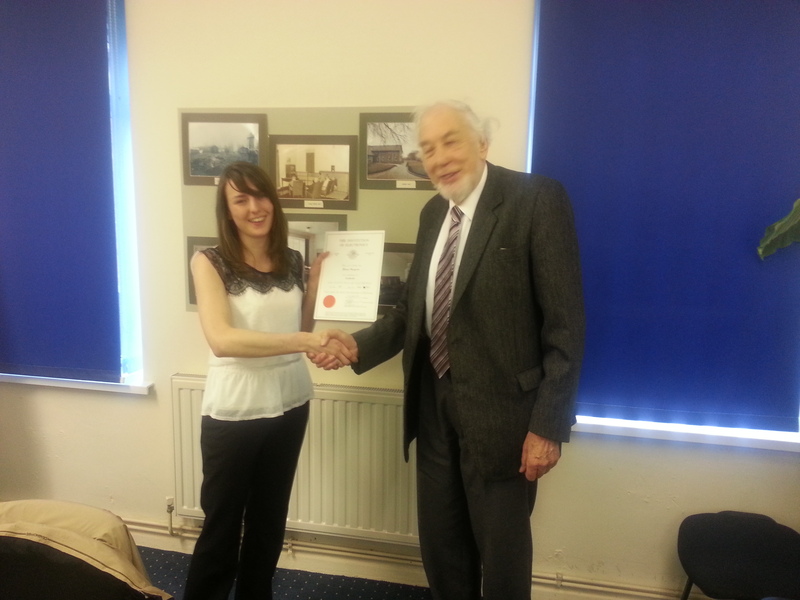 Here is our first Arkwright Scholar who is in her fourth year at Strathclyde University.